Qualify your pre-event promotions for the next leg of great advertising when you print impressive Swimming Posters and post them before your next meet. 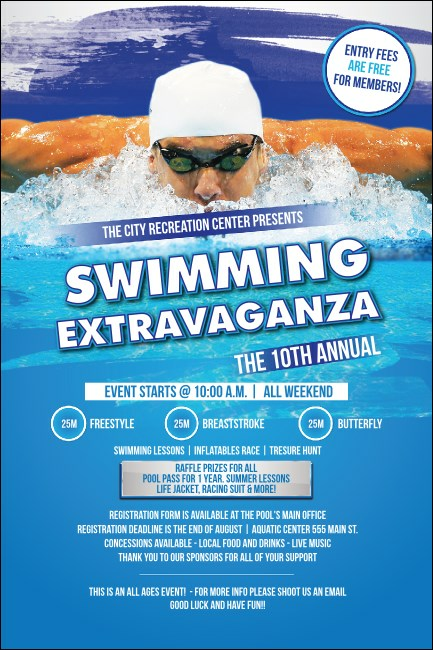 These Posters feature a realistic picture of an all-star swimmer propelling through the brilliant blue water to make his best time yet. TicketPrinting.com helps you beat your record.